When you are missing teeth, it can adversely impact every area of your life. You won’t be able to chew the foods you love, and so you won’t be up for eating anything but soft foods. Eventually, your health will start to decline. And, to make matters worse, your appearance will suffer from collapsed cheeks, and unnatural gaps in your smile. That situation will make you look older than you are, and will quickly erode your self-confidence. 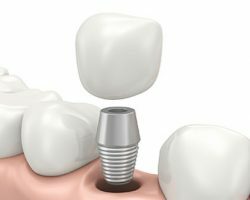 But there is a way to take back your life: dental implants. Check out today’s infographic to see how easy we’ll make it, then call Gentle Family Dentists at 563-288-2612 or fill out our online form to request a consultation appointment in our Muscatine or West Liberty, IA dental office.